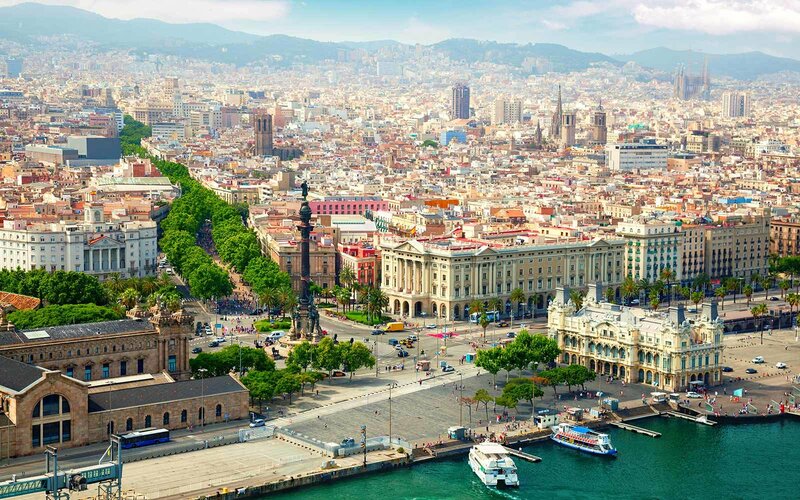 Barcelona is without doubt one of the major cultural centers of Spain. Throughout the year, plenty of festivals and celebrations are organized. Barcelona has many historical and architectural monuments included in the list of World Cultural Heritage, and a large number of museums. But here is a list of a few more signs that you will love Barcelona. Barcelona is the city of the notable architect Gaudí. His unique creations are worthy of close attention. For example, in Güell Park, you will see amazing stone structures, colorful ceramic tiles and the house where Gaudí lived. You will not regret visiting Sagrada Familia, a giant basilica. This building has been under construction since 1882 and is still unfinished. Another curiosity is La Rambla, or “Las Ramblas”, as it is sometimes called, Barcelona’s most famous boulevard. Here you will not only find many interesting shops, restaurants and buildings but also street performers. La Rambla is a peculiar outdoor laboratory of art, where artists exhibit their works, perform, do pantomime, dance and delight us with their music. Each year thousands of football fans from all over the world flock to Camp Nou – the home of Barcelona FC. With the stadium’s capacity of almost 100,000 people, the grounds are a Mecca for football fans around the world. If you are a football fan then Barcelona FC Museum is a must see. It has wall to wall trophies, pictures and statues of the greats. Barcelona is one of Europe’s best beach cities. Barceloneta is the most popular beach in town. It’s incredibly over-crowded and you’ll be lucky to get a space to stretch out, however, this is where all the action is. Chiringuitos (beach bars) pump out loud reggae music and people sip on expensive Mojitos. But the best thing is to walk along the promenade that takes you to almost all of Barcelona’s best beaches. Barcelona has set the benchmark for the international electronic music scene and dances to the sounds of the world’s top DJs. It’s also the perfect place for lovers of jazz, rock, Latin rhythms and pop. We recommend that you try Sala Razzmatazz, La Terrrazza, Opium or Pacha. Each venue has unique characteristics that are worth discovering for yourself. Join the pub crawl, spend a night with us and fall in love with our city.